November's a-comin', bringing with it many dark and stormy nights, thanks to the annual event held therein: National Novel Writing Month. Since 1999, NaNoWriMo has had one goal and one goal only—to get a 50,000-word novel out of you, from scratch, in a month's time. The clock starts November 1 and ends 11:59:59pm on November 30. Last year, 256,618 participated, 36,843 of which met the deadline. It's not without its critics, but we love the idea. The folks who created the write-a-thon are explicit that it's about output—get the words down, edit later. Success is gutting it out. But excellent novels have emerged from the enterprise, too, including Sara Gruen's Water for Elephants and Erin Morgenstern's The Night Circus. Need pre-game motivation? Read Anne Lamott's Bird by Bird. 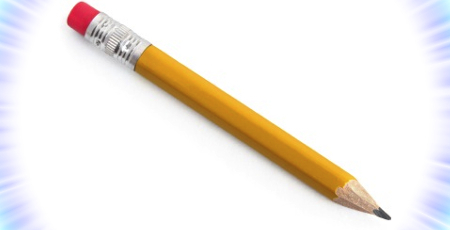 #2 pencil not your thing? Scrivener is the best writing software, bar none. And there's no law that says you have to write in isolation. Follow @nycnowrimo on Twitter and get lots of useful info, including where and when there are gatherings of fellow NaNoWriMo-ers.